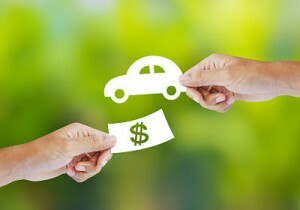 As you travel about from one area to another be it on the weekend, holiday, or vacation it is easy to spot those areas that face a bigger financial burden that others. If you begin to see a lot of payday loan, title loan, and pawn shops it is a good indication that those living nearby are ones that struggle from paycheck to paycheck to get by. This is where the payday loan comes into the equation. Often these are also referred to as cash advances or payday advances, although they are often used in regards to credit cards as well. These businesses advertise on television, online, on mailbox fliers, or other means to reach those customers who can just barely make their bills. It is estimated that approximately 48% of Canadians currently are living from paycheck to paycheck. These consumers have jobs, go to work as scheduled, do not simply live above their means, and yet struggle to just keep up. They have little to no savings nor do they have access to such funds in the case of an emergency, higher than expected bill, medical problems, or car breakdowns. Of those 48% more than 20% are estimated to take out a payday loan to help them in the cases mentioned. In 2013, 1.3 million individual advances were written or made. More recent years have seen this number grow to 1.8 to 2.5 million households and can account for roughly $2.5 billion dollars. Experian gathered loan data that had been submitted and this information showed that in 2015 the payday loan lenders loaned nearly $24.2 billion dollars to consumers holding credit scores of 660 or less. It further went on to clarify these numbers to be a 78% increase from 2014 and nearly triple the amount seen in 2012. Legislation and rules that are associated with this type of business are highly debated and vary from place to place, often in the extremist of measure. In Canada, individual provinces are responsible for governing payday loans since 2006 and all except for Labrador and Newfoundland have created legislation. As of the beginning of 2016, New Brunswick had yet to finalize on legislation as well. 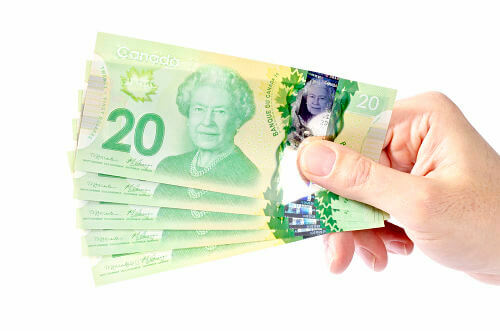 There are many areas to consider before jumping into a payday loan in Canada. Some of those reasons have been highlighted here for you. Payday loans are very expensive. Payday loans APR (Annual Percentage Rate) can be as high as 400%. Payday loans allow borrowers to go deeper and deeper into debt, especially when they are unable to meet a deadline. These short-term loans are too easy to get into and impossible to get out of for many. Current trends have payday loan lenders getting access to your account as they claim it is easier or company required over the previously used post-dated check. These lenders can use ruthless means in order to become repaid. Repeated attempts are normal when attempting for debt retrieval, meaning that the post dated check or the access given will be ran no matter how many additional fees this might cause. 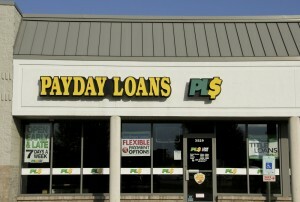 The payday loan can damage your credit rating. Payday loan lenders have no issue with taking legal actions to collect. These legal actions also damage the credit report. Canadian payday loan lenders often prey upon the poor. They also seek out those that have a lower than normal credit score as future prey. They do not run credit checks. Payday loan lenders can often be found in pawn shops, check-cashing locations, or stand alone offices. These offices are known for non-banking hours of operation. They stay open late and open on weekends to make their loans even easier to obtain. Payday loans are short-term loans at high rates of interest that have the standard due date of one’s next pay period. With the average pay period falling bi-weekly this make the average payday loan be one of 14 days. Upon approval of the loan the lender requires one of three means of repayment. Those types follow. Pre Dated Personal Check – This method generally requires the loan holder to return to pay off the payday loan in person at the location in which it was taken. If they do not make it in the check is then sent to the bank for repayment. Obtaining A Pre Paid Card – This method can cause one’s loan to have even more fees attached as there are often fees for opening, using, or depositing onto the card. Authorization for a Direct Deposit – This method also gives the lender access to direct debit on the date in which the loan comes due. 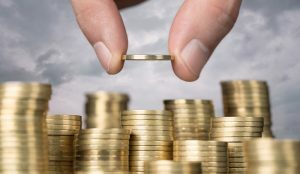 Lenders can easily attempt to deduct numerous timesdaily to retrieve funds and if funds are not present each attempt can cause banks to charge fees. Since the payday loan lenders do not check credit ratings they often require a variety of different things from those that are attempting to acquire a loan. The following are items that you could be asked for upon loan paperwork completion. Today, and in those yet to come we encourage you to become as knowledgeable as possible on all the many options one can find to get a loan when one is needed. The Payday Loan is just one of them and a highly expensive option at that. We recommend checking into the field of Personal Loans as these offer lower interest rate and more flexible pay back options.